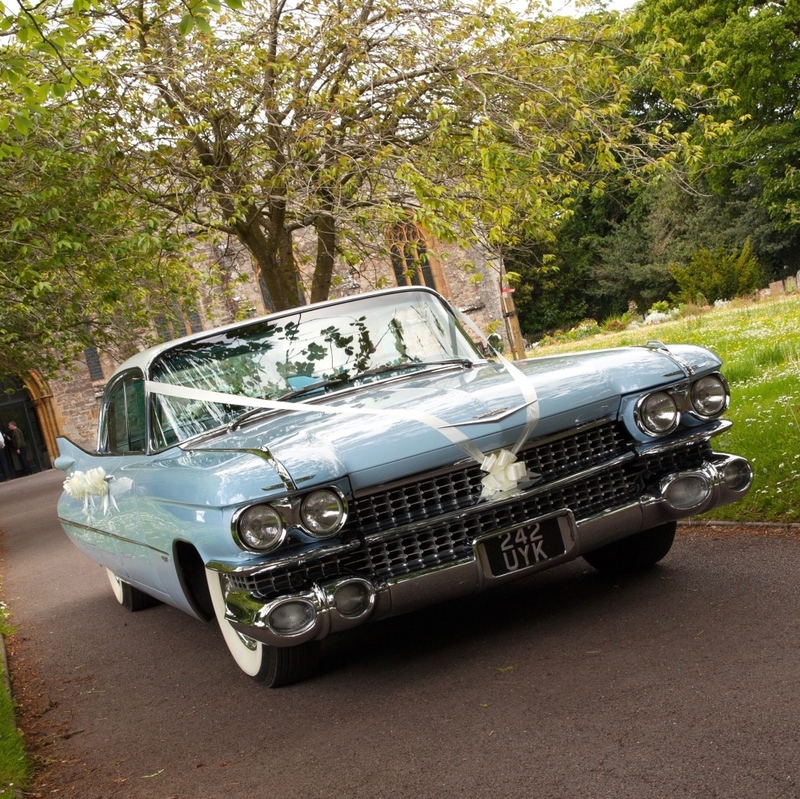 Muddy says: Rock up on your wedding day in an iconic vintage Cadillac, Buick or Riley classic car. Glam-or-ous or what?! Look at the fins on that! With its sleek and stylish lines, the iconic Cadillac Coupe de Ville epitomises glamour in the golden age of Hollywood. We’re thinking Cary, Rock, James, Marilyn, Audrey… you ? 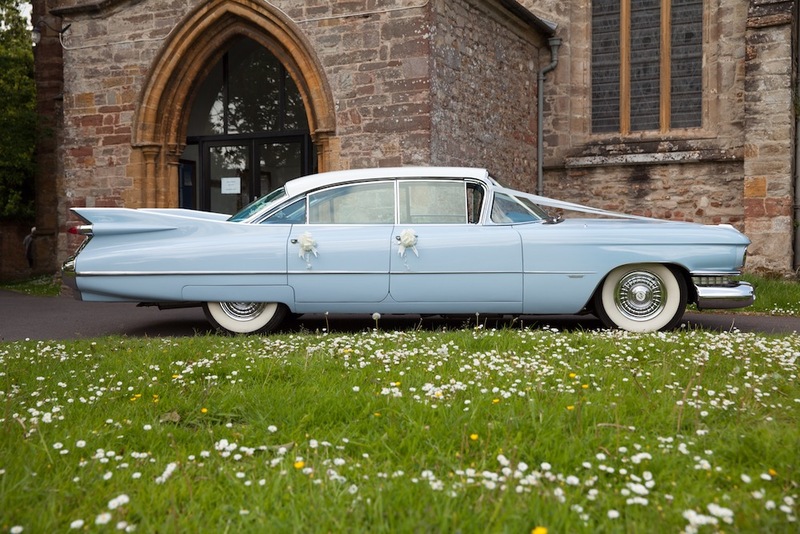 Whether you’re a film buff, car fanatic, love Americana or you’re into vintage luxury, one of Dave Hodges’ dreamy wedding cars could be for you. With a uniformed chauffeur at the wheel, you can relax back into the leather seats of your be-ribboned classic car and arrive at your wedding in style. After the ceremony, enjoy a glass of pink fizz on a half hour ‘Champagne’ drive. No need to rush to take pix or anything, you’ve got all the time you need as the car’s yours for the day. 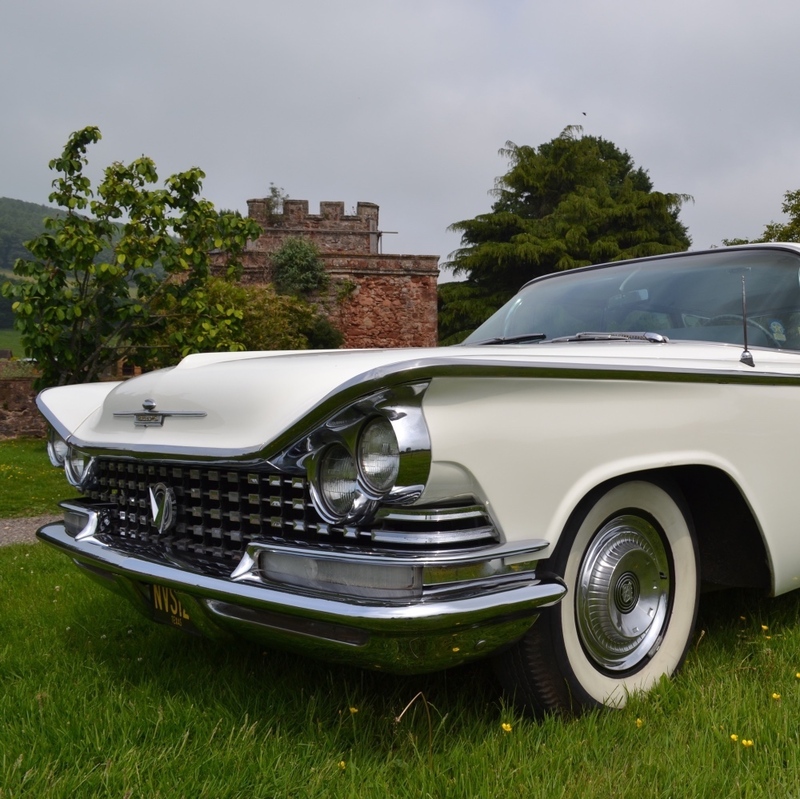 As well as the Cadillac, there’s a swanky white 1959 Buick LeSabre and a black and white 1954 Riley RME (OK, so it’s not American but it’s so classy we don’t care). 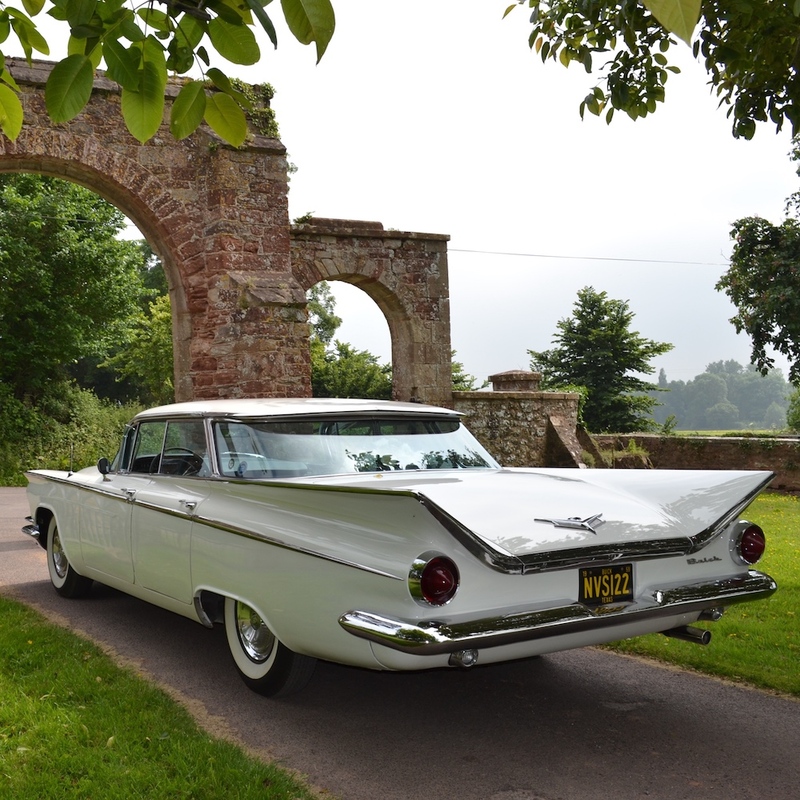 American Dream Wedding Cars generally covers Somerset and Devon but contact Dave to have a chat if your wedding is further afield.